8 of the best A-level results in the country! At the recent British Council awards, OTC came out top with this achievement. We were also awarded most equal, diverse and inclusive institution in Nigeria. Wonderful to receive recognition for all the hard work we put into making Oxbridge the institution it is and hugely rewarding to see the effort of our students recognised and celebrated in this way. Celebrate with us and help spread the word! If you want to be a part of this legacy we have entrance exams and scholarship exams coming up this Saturday. 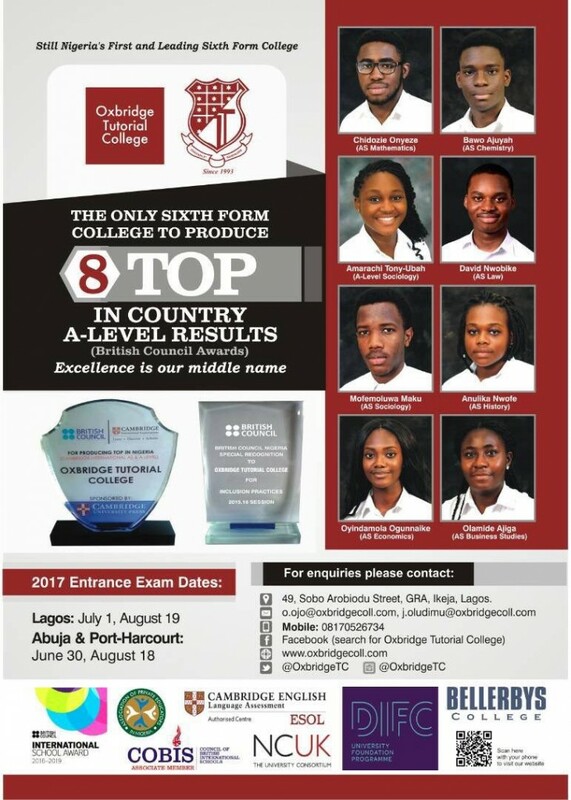 Apply online at www.oxbridgecoll.com or email o.ojo@oxbridgecoll.com or j.oludimu@oxbridgecoll.com for more information.